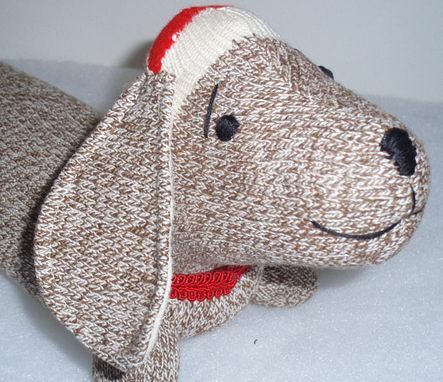 Dachshund Dog , Handcrafted by me out the traditional red heel socks. Embroidered features and available in Brown, blue, pink or yellow socks. Perfect gift item for anyone who loves Dachshunds !